George Street Mall, Windsor NSW 2756. Windsor Mall Market website or the Windsor Mall Market Facebook Page. 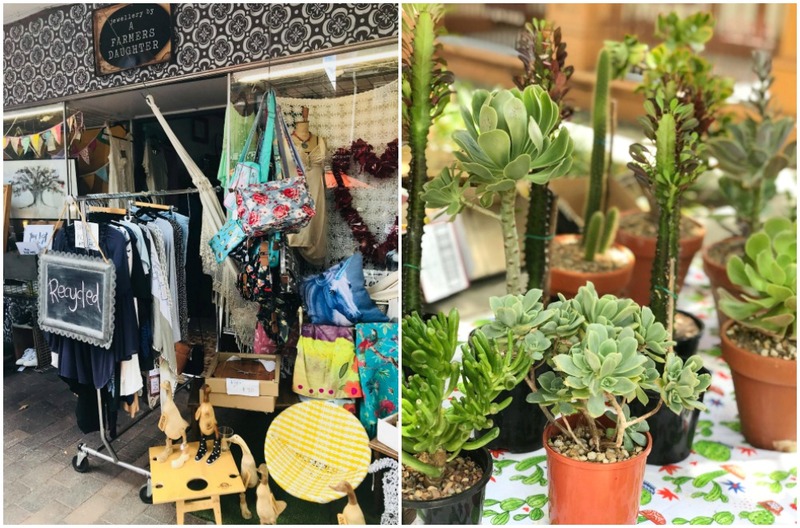 If you’re looking for a Sunday morning outing idea and you’re based in Sydney, it’s time to entertain your tribe at Windsor Mall Markets. A hop, skip and a jump from the ‘burbs it’s a relaxed and enjoyable way to fill a lazy Sunday morning. If you’re not familiar with this little slice of semi-rural heaven, Windsor is a historic township based on the Hawkesbury River. The architecture is gorgeous with many period homes and first settler residences as you drive towards the Windsor Mall Market. There’s nothing more satisfying than buying produce that’s fresh, delicious and straight from the farm or source. The lads from Nashdale Fruit Co can always be relied upon for the best of the season. You’ll also find fresh honey from HoneyBee Mine, artisan breads from Otter’s Bakehouse (#bestsourdoughever) and over 60 amazing varieties of jams & preserves from Colleen’s Homemade. There’s stacks of kid’s fashion, nanna crafts (you can’t beat a tiny knitted baby cardigan from this style of stall!) soaps and toys. Special mention also goes to Jim’s Puzzles which are hand-crafted in Australia and Signature Bath who bring a little luxe with their soaps and deliciously fragrant exfoliants. The Lone Society Co with quality mens products have all natural tattoo balm to keep your ink colourful and quicker-healing and mall-retailer Jewellery by a Farmer’s Daughter is brimming with quirky, cool and divine homewares, jewellery and vintage ware. There’s also sugar-coma-inducing, kids’ favourite, Lollies N Stuff with more sweets than even Verucca Salt could dream of. A pop-up barber who can do-your-do ‘then and there’. And last but not least, my personal pick ‘The Succulent Man’, his fabulous range begins at just $2 and he’s more than happy to share his expert knowledge with you and the kids. He’s so cool he’s not even on social media, word of mouth is all he needs! 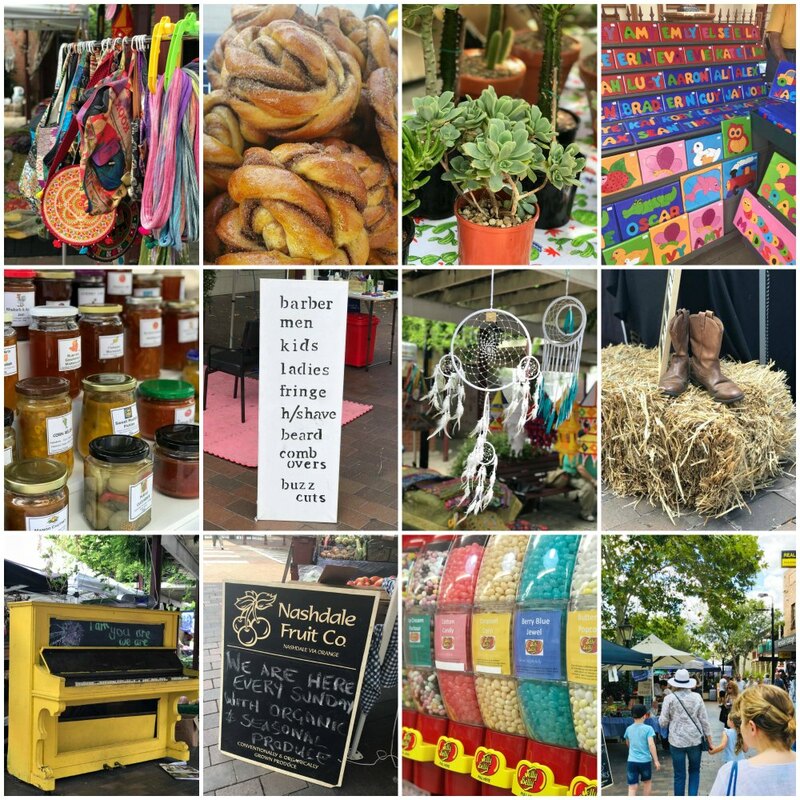 Of course, there’s much more than we can mention but hopefully this list is enough to encourage you to add Windsor Mall Market to your Sydney weekend, must-do list! Dogs are welcome, children are a-plenty and it’s a totally free morning to just wander and explore. Of course, if your money is burning a hole in your pocket there’s not shortage of wonderful ways to spend it too. Oh, you might also like to pack the bikes! A final handy tip, if you throw the bikes or scooters into the boot, you can finish the day with a ride along the Hawkesbury River. There’s a dedicated bike path the entire way and it’s ideal for burning off the lolly-high before you head home! You can access the bike path at the bottom of hill via ‘The Terrace’ (road) and behind the public carpark. It’s literally a two minute walk. Sydney’s suburban rail network extends to Windsor. The Markets are about a ten minute walk up George Street from Windsor Station. Approximately one hour by road from Sydney, follow the M2 freeway and follow the Windsor Road to Windsor. Mother-of-two. Enthusiastic traveller. Tea lover. Lego Ninja. Expert in carpet Play Dough extraction. Victoria Louis is a 30-something writer based in Sydney, NSW. A former marketing manager who loves to laugh there’s no topic she won’t explore. Victoria is full of opinion, big on kindness and believes the day is always better with a dash of lipstick.